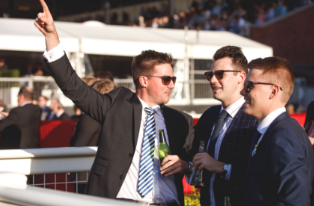 Round up the guys and grab your tickets to Blokes Day Out presented by TAB for the ultimate day at the races! Racing will take centre stage with a local black type racing programme, and all the interstate racing on the big screens around the track. Cheer home a winner during the world’s richest race for two-year-olds, the $3.5 million Longines Golden Slipper LIVE from Sydney. For the avid punters, register for the FREE Racing Workshop with Bart Sinclair & Special Guests. Get exclusive behind-the-scenes info, hot tips and insider knowledge. Guest speakers will be announced soon (Register in the 'What's On' section below for notifications). Creek to Coast Host Scott Hillier will be trackside giving away BCF vouchers! For your chance to WIN, head to the Public Lawn and cast a line with the fishing guru! Blokes Day Out is a celebration of beer! With over 25 beers to choose from PLUS your chance to WIN a pallet of beer! See on course signage for details on the day. There will be plenty of entertainment including live music all day and a classic pub rock band after the last race. Enjoy a delicious feed at one of the food trucks and a craft beer from one of the air-conditioned trackside bars. Dress Code: Relaxed. This raceday is casual so feel free to leave the jacket and tie at home and opt for something more comfortable (shorts & t-shirts allowed). For those entering the Members Reserve, please be click here to view the dress code for this area. Join BRC's Racing Manager Bart Sinclair and a line up of industry guests as they discuss the Blokes Day Out racing schedule, behind the scenes knowledge and hot tips for the day. This event is FREE to all Blokes Day Out attendees. From racing enthusiasts to newcomers to the sport, this is an insightful and entertaining insider event. Special Guests: Trainer Kelly Schweida & The Courier Mail Racing Editor Nathan Exelby. Enjoy a refreshing schooner of craft beer in the Stradbroke Plaza Beer Garden. Located under the shady fig trees in Stradbroke Plaza, this beer haven will be in an ideal location for you to enjoy some of the 25 beer varities on course. 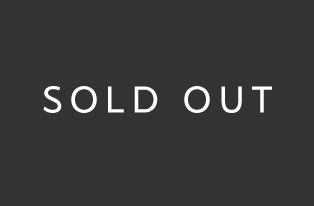 Full list of craft beers to be announced soon. Enjoy live music all day with a soloist throughout the day, followed by Empyre on the Main Stage (Public Lawn) after the last race. They'll be covering all your favourite pub ballads from Kings Of Leon, Red Hot Chilli Peppers and Nirvana and rocking on as the sun sets! Go Fishing with Scott Hillier & WIN BIG! Cast a line out with Bloke's Day Out ambassador and Creek to Coast Host Scott Hillier for your chance to win a share in $3,000 worth of BCF vouchers! Head to the Public Lawn and cast out a magnetic fishing rod to catch one of the vouchers. Brisbane's bets food trucks will be rolling in to Eagle Farm Racecourse to keep you and your mates well fed. Devour some spicy fried chicken and crunchy Asian spring rolls, carb load with a wood fired pizza, or devour a gourmet burger. Overlooking the biggest screen in the Southern Hemisphere, The Kentucky Bar is an air conditioned bar open to the General Public on all racedays. The American presence is felt as soon as you walk through the door- from the sports décor, staff uniforms and quintessentially American themed menu, you will be immersed in the USA spirit. Head here for a loaded hot dog & chilli fries with a chilled beer. WIN a Pallet of Beer! Blokes Day Out presented by TAB is the ultimate celebration of beer! Attend the raceday for your chance to WIN a pallet of beer! There will be signage and information around the course on the day letting you know how to enter. * Ts & Cs apply. Brisbane Racing Club promotes the responsible service of alcohol.